The U.S. Army took delivery of the first of six newly-upgraded MIA2 SEP v3 Abrams Main Battle Tanks. The first MIA2 SEP v3 tank, built by General Dynamics Land Systems, is slated to arrive as soon as this month - as part of a delivery of initial prototype vehicles, developers said. The first v3 pilot vehicles will feature technological advancements in communications, reliability, sustainment and fuel efficiency and upgraded armor. 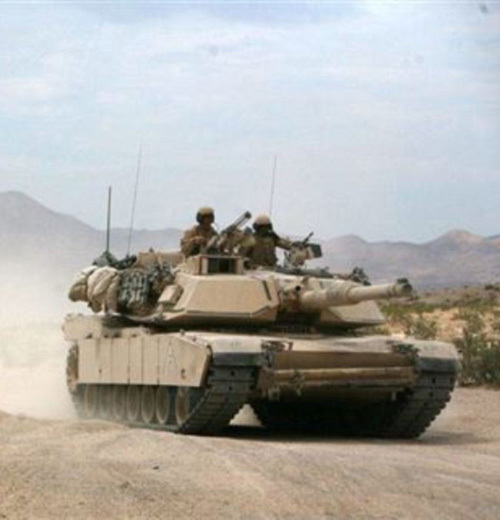 The Army is now building the next versions of the Abrams tank - an effort which advances on-board power, electronics, computing, sensors, weapons and protection to address the prospect of massive, mechanized, force-on-force great power land war in coming decades, officials with the Army’s Program Executive Office Ground Combat Systems told Scout Warrior. This current mobility and power upgrade, among other things, adds an auxiliary power unit for fuel efficiency and on-board electrical systems, improved armor materials, upgraded engines and transmission and a 28-volt upgraded drive system. In addition to receiving a common high-resolution display for gunner and commander stations, some of the current electronics, called Line Replaceable Units, will be replaced with new Line Replaceable Modules including the commander’s display unit, driver’s control panel, gunner’s control panel, turret control unit and a common high-resolution display, developers from General Dynamics Land Systems say. Facilitating continued upgrades, innovations and modernization efforts for the Abrams in years to come is the principle rationale upon which the Line Replacement Modules is based. It encompasses the much-discussed “open architecture” approach wherein computing standards, electronics, hardware and software systems can efficiency be integrated with new technologies as they emerge. This M1A2 SEP v3 effort also initiates the integration of upgraded ammunition data links and electronic warfare devices such as the Counter Remote Controlled Improvised Explosive Device – Electronic Warfare – CREW. An increased AMPs alternator is also part of this upgrade, along with Ethernet cables designed to better network vehicle sensors together. The Abrams is also expected to get an advanced force-tracking system which uses GPS technology to rapidly update digital moving map displays with icons showing friendly and enemy force positions. The system, called Joint Battle Command Platform, uses an extremely fast Blue Force Tracker 2 Satcom network able to reduce latency and massively shorten refresh time. The GDLS development deal also advances a commensurate effort to design and construct and even more advanced M1A2 SEP v4 Abrams tank variant for the 2020s and beyond. The v4 is designed to be more lethal, better protected, equipped with new sensors and armed with upgraded, more effective weapons, service officials said. The Army-GDLS deal is also the first contract is for SEPv4 upgrades, which include the Commander’s Primary Sight, an improved Gunner’s Primary Sight and enhancements to sensors, lethality and survivability. The SEP v4 variant, slated to being testing in 2021, will include new laser rangefinder technology, color cameras, integrated on-board networks, new slip-rings, advanced meteorological sensors, ammunition data links, laser warning receivers and a far more lethal, multi-purpose 120mm tank round, Army developers told Scout Warrior. While Army officials explain that many of the details of the next-gen systems for the future tanks are not available for security reasons, Army developers did explain that the lethality upgrade, referred to as an Engineering Change Proposal, or ECP, is centered around the integration of a higher-tech 3rd generation FLIR - Forward Looking Infrared imaging sensor. Improved FLIR technologies help tank crews better recognize light and heat signatures emerging from targets such as enemy sensors, electronic signals or enemy vehicles. This enhancement provides an additional asset to a tank commander’s independent thermal viewer.